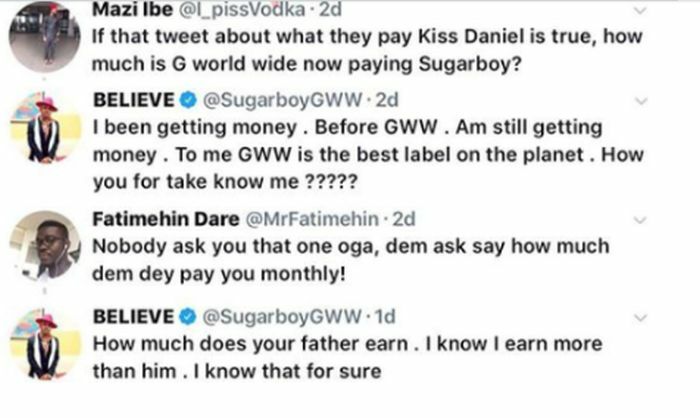 If that tweet about what they pay Kiss Daniel is true, how much is G World Wide now paying Sugarboy? This tweet, of course, got Sugarboy pissed who not only blasted the user but sent him home to his father. If Kiss Daniel was being paid N30k during the period is song was one of the biggest in the country and some parts of Africa, how much do you think G-Worldwide is paying Sugarboy with his 10 Nigerian states dominating Hola Hola?